With 1,758 beds, the Bologna University Hospital Authority St. Orsola-Malpighi Polyclinic in Bologna, Italy, is one of the country’s largest hospitals. Stefano Nava, MD, leads the respiratory and critical care unit, which houses 30 respiratory beds, seven intensive care beds, a sleep facility, interventional bronchoscopy, and outpatient clinics. Every year, about 10 North American patients visit Dr. Nava’s unit. Dr. Nava co-authored the paper “Critical Care Rationing: Internationals Comparisons,” which was published in Chest in 2011. During our conversation, he pointed out that socialized medicine is associated with less emergency admission for certain pathologies. He cited the higher rate of emergency department visits of asthmatic patients in the United States. Dr. Nava has served both the ATS in its Critical Care Assembly as well as the European Respiratory Society in several capacities. He also sits on a joint task force between the ATS and ERS on noninvasive ventilation with Drs. Paolo Navalesi, Laurent Brochard, and ATS Immediate Past President Nicholas S. Hill. The task force aims to keep literature on the subject up to date. The most recent joint document, between the ATS, ERS, European Society Of Intensive Care Medicine, and Société De Réanimation De Langue Française, the “International Consensus Conferences in Intensive Care Medicine: Noninvasive Positive Pressure Ventilation in Acute Respiratory Failure,” was approved by the ATS Board of Directors in 2000. In no small part, the explosion is due to the efforts of Dr. Nava, who’s written more than 100 papers on the subject, and a handful of other clinicians and researchers. His paper “Non-Invasive Mechanical Ventilation in the Weaning of Patients with Respiratory Failure Due to Chronic Obstructive Pulmonary Disease: a Randomized Study,” published in the Annals of Internal Medicine in 1998, has been widely cited. 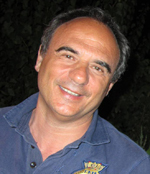 Born in Crema, Italy, Dr. Nava earned his degree in medicine at Pavia University, where he subsequently specialized in pulmonary disease, intensive care medicine, and anesthesiology. Between 1985 and 1988, he took a research fellowship in pulmonary medicine at Royal Victoria Hospital and the Meakins-Christie Laboratories, at McGill University in Canada. It was there, under the tutelage of the venerable professors Joseph Milic-Emili, Francois Bellemare, and the late Peter T. Macklem, that Dr. Nava studied respiratory mechanics and physiology—mainly in invasively ventilated patients. Around the same time, he attended his first ATS International Conference in New Orleans (he hasn’t missed a conference since). After his training at McGill, met Nicolino Ambrosino, MD, and Claudio Fracchia, MD, who co-authored the popular 1998 study among others and performed clinical trials.